This upgrade concerns the oven chain group, equipped with a new type of chain links, mandril and preform rack. 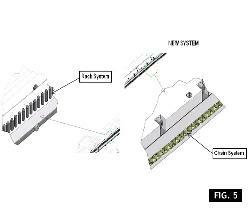 One of the main innovations concerns each link of the oven chain: the new model features additional retainers (represented in grey in the picture 1) which ensure more robustness and longer life of the chain. The double tightening reduces the chain elongation and ensures more precision during the preforms pick-up and release, thanks to the reduction of links coupling back-lash. Picture 2 is an example of the old chain with single-tightening link. The new solution also includes the upgrade of the preform picking mandrils, in order to upgrade it to the latest version. The new mandrils, be they double or single (see picture 3), feature a spring plunger keeping them in the right position to transfer the preform (the mandril is pushed downwards and blocked with Part. A), thus ensuring an optimal picking of the preform neck and avoiding additional guides to keep the mandril pushed, especially in the upper part of the oven where the preform is overturned. 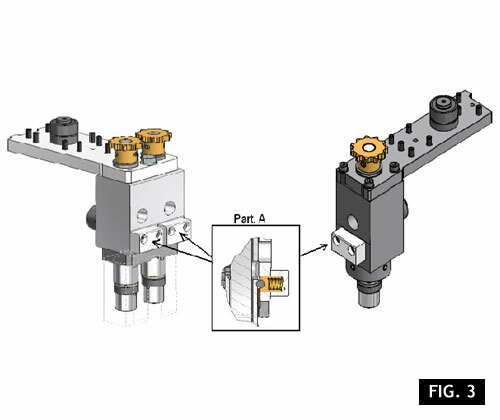 This implementation minimizes the need of maintenance intervention for the oven, since there are no guides/bearings to be replaced, because the mandrils are kept in position by the spring plunger. 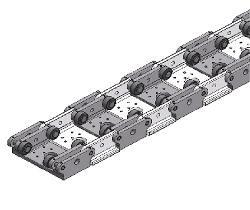 In order to improve the performance and to minimize maintenance, the upgrade also concerns the mandril rack, which has been equipped with a chain system instead of a pin system. 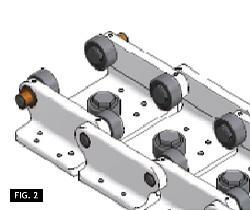 The new rack is composed of standard modules, which ensure easier maintenance and give the possibility to replace each module independently, without needing to change the whole section (upper or lower); moreover, the chain system makes the movement smoother, by avoiding jams of the single pins. 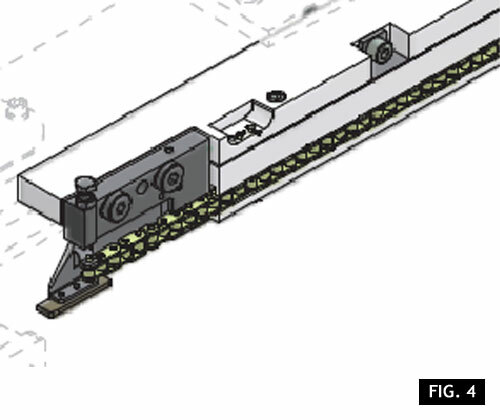 Thanks to the chain system, also the mandril accelerators are more efficient (at the beginning of the rack, see picture 5). - Available on all standard models and HC models; please communicate the machine pitch. - As a supply integration, install the retrofit code ZF010100 concerning the machine controls.